Yep, it’s happening again: Vail is buying more ski resorts. Last week they acquired Okemo in Vermont (that’s Okemo in the picture above), Mount Sunapee in New Hampshire, Stevens Pass in Washington, and Crested Butte in Colorado. This is becoming a regular occurrence. 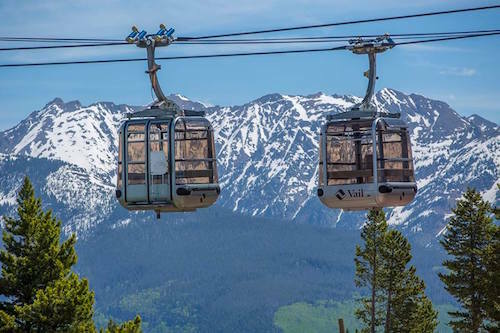 Over the past few years, Vail and Alterra (formerly Aspen-KSL) have been on quite a buying spree, acquiring ski resorts all across the country. It’s really no surprise. A lot of ski areas are only too happy to sell. Capital and infrastructure expenses, combined with the vagaries of Mother Nature, make running a ski area an incredibly difficult and expensive proposition. Many are drowning in debt and looking for a way out. For buyers, acquisitions are a great way to gain market share when environmental regulations and big infrastructure costs make it hard to add destinations. In fact, no major ski resort has been built in North America since Deer Valley, Blackcomb, and Beaver Creek opened in the early 1980s. Acquisitions may also help develop feeder streams of new consumers, who may otherwise overlook big-price tag, big-name resorts for more affordable, family-run mountains. And they’re a good protection against a bad snow year. Own resorts in a lot of different places, and you can spread the risk around a bit. Vail now owns Vail, Beaver Creek, Breckenridge, Keystone, and Crested Butte in Colorado; Heavenly, Northstar and Kirkwood in the Lake Tahoe area of California and Nevada; Park City and The Canyons in Utah; Afton Alps in Minnesota; Mount Brighton in Michigan; Stowe and Okemo in Vermont; Mount Sunapee in New Hampshire; Wilmot in Wisconsin; and Stevens Pass in Washington. Alterra owns Squaw Valley/Alpine Meadows, Bear Mountain, Mammoth, June, and Snow Summit in California; Steamboat and Winter Park in Colorado; Deer Valley in Utah; Stratton in Vermont; Snowshoe in West Virginia; Blue Mountain in Ontario; Tremblant in Quebec; and CMH Heli-Skiing in British Columbia. Boyne Resorts, which also went on a buying spree this year, has Brighton Resort in Utah; Cypress Mountain in BC; Gatlinburg Sky Lift in Tennessee; Loon Mountain in New Hampshire; Sugarloaf and Sunday River in Maine; Big Sky in Montana; Boyne Highlands and Boyne Mountain Resort in Michigan; and Crystal and The Summit at Snoqualmie in Washington. Then there’s Peak Resorts, which owns Alpine Valley, Mad River Mountain, and Boston Mills/Brandywine in Ohio; Attitash, Wildcat, and Crotched in New Hampshire; Hunter Mountain in New York; Jack Frost and Big Boulder in Pennsylvania; Mount Snow in Vermont; Hidden Valley and Snow Creek in Missouri; and Paoli Peaks in Indiana. And there’s POWDR, which owns Copper and Eldora in Colorado; Boreal and Soda Springs in California; Lee Canyon in Nevada; Killington and Pico in Vermont; and Mt. Bachelor in Oregon. So is this good? Is it bad? And what does it mean for skiers? Depends by what you mean by good and bad. After all, it’s a matter of perspective. For skiers, it means more skiing at lower lift prices. The first thing Vail plans to do in Vermont is cut the cost of a season pass at Okemo in half. Prior to the acquisition, a Classic Pass, which offers unlimited season’s access to Okemo and Sunapee, was $1,375 for 18-19. 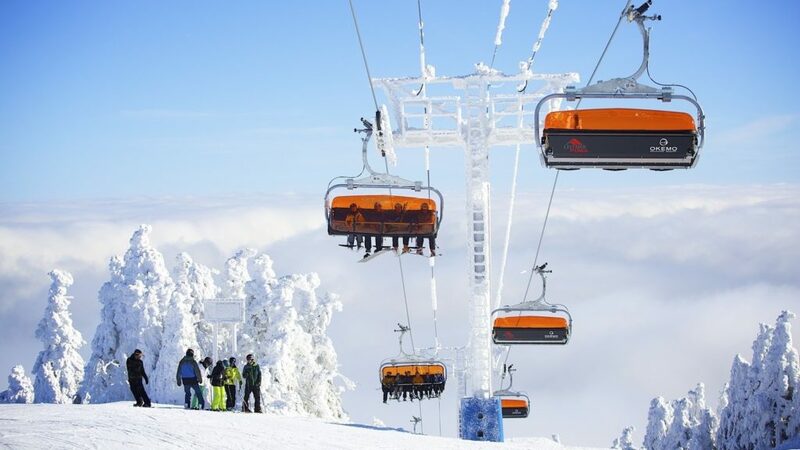 This year, locals can get all that plus unrestricted access to Colorado’s Breckenridge, Keystone, Arapahoe Basin and Crested Butte; Washington’s Stevens Pass, Wisconsin’s Wilmot Mountain; Minnesota’s Afton Alps, and Michigan’s Mt. Brighton for a mere $699. The acquisition also adds three resorts to Vail’s Epic Pass, which now includes unlimited and unrestricted skiing at 19 resorts across North America and Australia, plus a few days at 11 more resorts across Asia, Canada, and Europe. In total, the Epic Pass now offers passholders skiing at 30 resorts. There are other benefits, too. Ski areas are capital intensive, and the deep pockets of large corporations can mean greater investments in things like lifts, snowmaking, grooming, on-site amenities, and so on. It might even mean better salaries for resort employees, which can help attract top tier people. And it can mean investments in more and better non-skiing activities, which are essential in turning the resorts into four-season destinations — critical for their survival in the face of climate change. 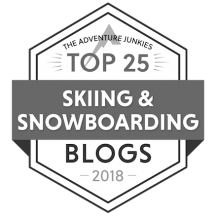 What’s more, a growing roster of mountains under multi-resort passes, like the Epic pass , the IKON Pass, or the Mountain Collective Pass, give skiers greater access to some of the best skiing in the world. Nothing wrong with that. But still, I’m conflicted. I’m always a little nervous when one company gets too big in any particular industry, and I’m afraid this is what we’re seeing here. Vail, Alterra, Boyne, and POWDR now own 46 of the most significant ski areas in the country. Sure, they’re doing well now. But a bad year could cause problems at all their resorts, across the board. What’s more, a publicly traded company like Vail is primarily responsible to its shareholders, and this doesn’t always engender practices that are to skiers’ liking. For example, if Vail decides to increase its lift prices, a lot of people at a lot of mountains are screwed. The competitive incentive is gone. And that’s not good. The implications are enormous in everything from retail space to what’s sold on site. 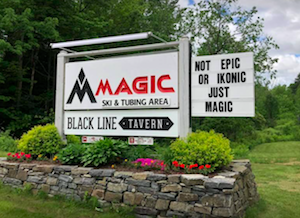 Not only is this not particularly good for local businesses, but it creates a more homogenous culture that I believe detracts from the skiing experience. This may not trouble you, but it troubles me. For the acquired resorts, there’s the issue of having a remote corporate overlord. Will decisions have to be approved by someone hundreds of miles away? Everything from expansion plans to the color of ski school jackets may now have to through a number of corporate layers. Will pay for employees go down, instead of up? Will issues that affect the community get the consideration they deserve? And will the acquired resorts become more and more homogenized, so they bear more resemblance to one another and lose the characteristics that once made them unique? Finally, will the emphasis become less on skiing and more on real estate development, retail, and off-slope amenities? I’m also worried about the tremendous influence these large companies have in the ski world. Whatever Vail or Alterra does — good or bad — can have a profound effect. If Vail offers a particular amenity, for example, a lot of other resorts are going to feel pressure to do the same, whether it makes sense or not. Which leads me to the following: all this makes it increasingly difficult for smaller ski areas to survive. What’s the incentive for a skier to go to a smaller, independent resort, if they can purchase an Epic pass and have access to multiple resorts for the same amount they’d spend for one? And with Vail and Alterra having such deep pockets for investment, how can a smaller area compete? Before you shake your head and say, well, that’s the market at work, survival of the fittest and all, consider this: Since the 1980’s, roughly 33% of US ski areas have gone out of business and up to 150 more are considered threatened by industry experts. Sure, there are a lot of factors that have caused this to happen. Many of these places were smaller Mom and Pop hills. And though they had limited lifts and trails, they also nurtured beginner skiers and served as feeder hills for resorts like Vail. What’s more, they offered something larger resorts generally lack: a measure of character and community involvement that goes to the heart of what skiing is all about. Are there ways for smaller areas to stay competitive with the consolidated resorts? Not many. In recent years, the ski industry has seen little to no growth, so skiers who go to one resort tend to take business away from someplace else. In short, one resort tends to cannabilize another. For example, Vail sold about 50,000 season passes less than a decade ago. Now the number is closer to 550,000. These skiers are choosing Vail over some other resort. And while it’s great for Vail, it’s not so great for wherever it is they’re not going. Things are still shaking out with the recent acquisitions. There’s a page at the Epic Pass website that answers questions specifically relating to the pass at Okemo, Sunapee, Crested Butte, and Stevens Pass. I’m sure that’ll be useful to a lot of people. But a lot of other questions will remain unanswered, at least for a while. As for future acquisitions, well, things could get interesting. Jay Peak and Burke, both in Vermont, are on the block right now, so it’s just a matter of time before someone snatches them up. But what about other resorts? How about Jackson Hole? Sun Valley? Taos? Will Alterra and Vail make further inroads in the East? And what about the smaller groups, like POWDR or Boyne? If Intrawest can be acquired, as it was a year or so ago, can one of these be purchased, too? 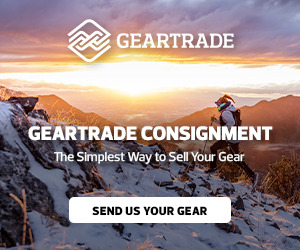 Will we eventually be left with just two ski companies? PreviousHead games: Coming back after an injury. Next11 things I’ve learned since moving to a Vermont ski town. It doesn’t mean lower prices for all skiers. Okemo offered a midweek pass and a seniors pass. It doesn’t look like Vail Resorts offers either of those. True. I was at Mammoth this year when there were protests about the absence of a Senior Pass. So yes, there is dissatisfaction with Vail about that. 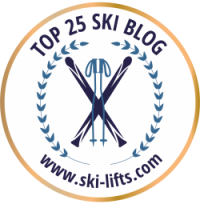 As an Alpine & Telemark ski instructor I agree 100% about the “feeder mountain” comment. Where do the big ones expect their future customers to come from? They don’t grow on trees and you can’t learn to ski by reading a book or taking an on-line course! You have to experience it.. and (hopefully) using a ski instructor. Learning to ski does not require a “bubblechair” nor a high-speed quad. In face it requires NO LIFT at all!